Thank you to everyone who helped with our 2017 Alzheimer’s benefit! We raised $5105.13 for the CT Chapter of the Alzheimer’s Association! 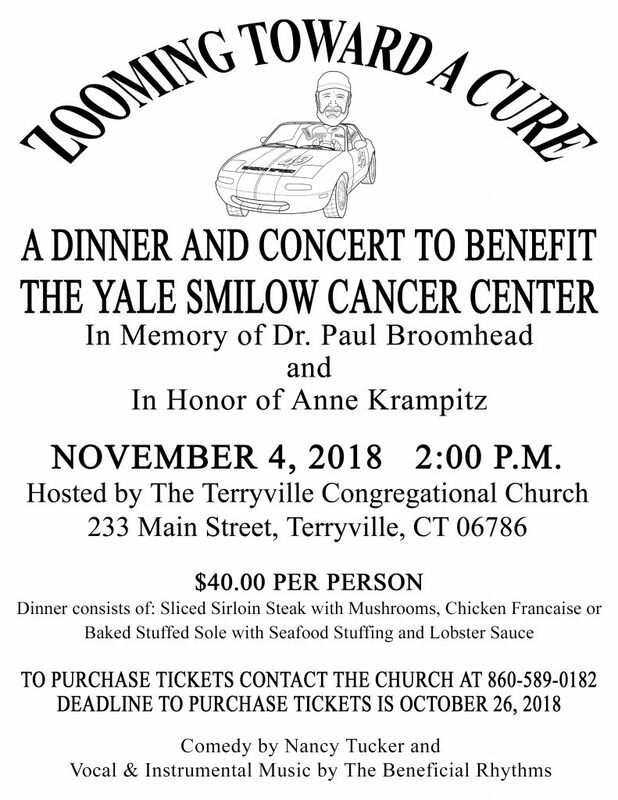 And thank you to everyone who helped with our SOLD OUT Nov. 4, 2018 event, benefit for the Smilow Cancer Hospital (for both New Haven & Waterbury locations). This year (2019) we will be doing another benefit, continuing to raise money for local causes that are near and dear to us! Save the date — our event will either be the last weekend in October or the first weekend in November, 2019. Details will be coming soon!